New Man, New Troubles is an old-fashioned novel in the style of Graham Greene or John LeCarre. The author moves deftly between characters, making each rounded and human, then he moves on to the next character in the web-like story. By the end of the book, the strands come together neatly, and we have come to know a dozen or so characters quite well. This is the first book I've read in John Galavan's Italian Art Theft Adventure Series. It is the tenth book in the series. 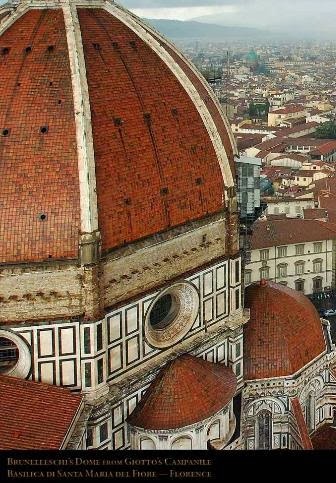 I should have purchased the first book in the series, I admit my mistake, but I found the link in this story to Brunelleschi's cathedral dome in Florence to be too tempting. I was not disappointed. I found the historical vignettes that tell the story of the dome's construction, and of one of the works of art at the center of the story, fascinating. Later it would occur to him that a new life - to be a new man - would require him to take chances, to act on whim, to look into his artistic temperament to discover this new man that he had planned to become. You must be patient to enjoy this book. Sit back and enjoy the deftly drawn historical vignettes, and the equally deftly drawn vignettes featuring the myriad of characters: killers, an art thief, business women, builders, architects, ex-pats, policemen and women, a museum director, a down-on-his-luck shady aristocrat, and the assorted Florentines who fill out the scenes. I suspect we have become spoiled by protagonist-centered novels told from a limited third-person perspective; we never leave the main character's point-of-view, forcing us to identify with the protagonist. The omniscient narrative style, in which this story is told, has fallen out of favor in the last few years, perhaps being seen as too pontifical. However, John Galavan is very good at writing in this style. If you have trouble with an omniscient narrator, this series is not for you. I must confess, though, that while I admired the author's storytelling skill, I never really connected with the book. I suspect that is because I was never expected to, since I am not the book's target audience: a mature man. Mature men should enjoy the book's strong insights into the minds of the male characters. As a woman, I noticed that the female characters were much like the women in Graham Greene's and John LeCarre's novels: women through the lens of a man. They didn't feel as real to me as the men in the book. The author has a few quirks: he appears to dislike commas, and he dots his English with Italian words. He creates a very strong sense of place. The editing begins well, but by the third of the way into the book, there are missing words and letters, and extra words, every few pages, but I'm sure those will be edited out soon. The Italian in the book could use an edit by a fluent speaker. But despite these minor points, through it all, the author's writing skill and his love of all things Italian shines brightly. If you think you might enjoy this series, I suggest you purchase the first book in this Kindle-only series and see what you think. The books are not expensive, and if you enjoy the novel, there are 23 more books to enjoy! 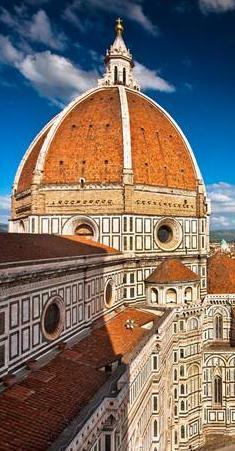 Filippo Brunelleschi engineered a lifting device that was a miracle. The original engineering drawing used to construct this device- this mechanical device which enabled the construction of il Dumo!- was stolen. Centuries later this same drawing would reappear in Florence, a Sarto masterpiece might be stolen, and men might be murdered on orders by the most important man in Napoli. Before any of this might actually happen, some facts presented as feelings and as gossip came to the attention of the Florentine Carabinieri inspectors and their intuitive Direttore. Can any of this be true? This is based, after all, entirely on the guesswork of the two sisters who are the Director's star inspectors. He involved his Roma Direttores and the sisters involved their ancients and their lovers, but is there time to stop any of this? This art theft adventure is one in a continuing series featuring a recurring cast of Carabinieri inspectors, museo directors, and the Fantastico! 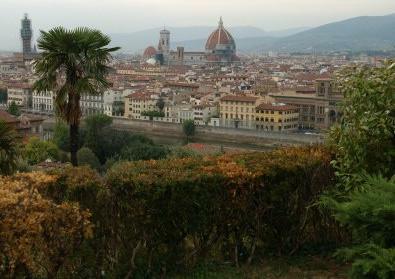 sights and sounds of Florence and Rome. 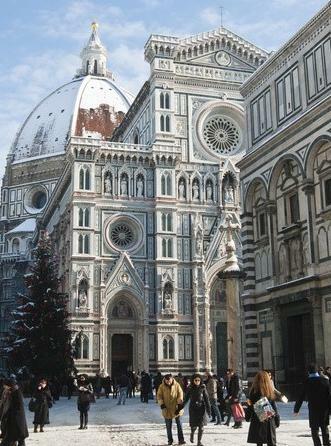 Inventive thieves and their despicable clients are determined to steal for themselves the treasures of all Italia. At times they only fail because of the odd intuition possessed by the Florence Carabinieri Direttore and his two senior Ispettore sisters. 1- To Roma! To Roma! Please visit the author's page at Amazon.com, and take a moment to enjoy his very entertaining and personable biography.